Corby VCS are the Corby and District local infrastructure organisation, supporting and helping to sustain local voluntary and community based organisations, and assist local vulnerable and excluded people. The provision of information, advice and assistance for frontline voluntary and community sector organisations. Support and develop the start up of new voluntary and community sector organisations in Corby and District. Provide policy support and research to the voluntary and community sector. Act as the voluntary and community sector lead body for the Corby Borough area. Provision of advocacy and representation of the local voluntary and community sectors on appropriate bodies and public sector organisations. Working with partners to develop activities, which will aid and speed the integration of migrant workers, refugees and asylum seekers into the local community. Provide a facility for the Voluntary Sector & wider community to access training and education opportunities and skills development. Working with partners to inspire pride in our community and develop an interest in the Corby area's local heritage. Promotion and development of volunteering in the Corby area. Development of partnership building and a brokerage service, for local organisations, which through working together will provide added value to the local community. Facilitation of the local voluntary sector forum. To manage: a minibus group hire scheme and car pool services in Corby; and, a shopmobility and wheelchair hire service. We are based in Corby Town centre and have six paid members of staff and approximately 35 volunteers working on various projects. We are funded by both local and county councils to deliver the functions mentioned above. Our building which was donated to us by English Partnerships rent free is a two storey ex Territorial Army base. The top floor is rented out to the Sunflower Project and Domestic Violence unit. On the ground floor we have several tenants, two meeting rooms and a small ICT suite. Provide advice and support to people wishing to volunteer. Provide a centre to promote volunteering and community involvement, which will include training. 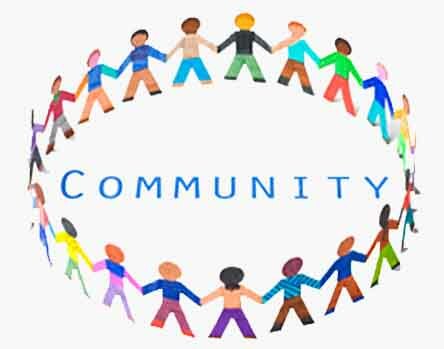 Advise and support community organisations, which involve volunteers in their charitable activities.